Special Containment Procedures: SCP-3112 is to be monitored by Foundation satellites intended to detect electromagnetic radiation at a global scale. Locations identified to exhibit frequencies of 7a x 7.7a7a Hz. are to be further monitored for possible activities relating to GOI-312. Foundation personnel are assigned to monitor Site-81's staff break room at all times to collect SCP-3112-A manifestations. Instances of SCP-3112-A are to be immediately inspected and sorted. In the event of a sudden influx of SCP-3112-A manifestations, additional Foundation personnel and equipment are to be assigned to the area. Collected instances of SCP-3112-A are to be kept in a standard containment locker at Storage Site-81. Testing with the Foundation-created SCP-3112 instance had been approved by Dr. █████ as of 21/07/2016. Testing is to be done at Site-79 due to the electromagnetic interference associated with SCP-███. The spontaneous manifestations of envelopes and postcards, designated SCP-3112-A, within Site-81's staff break room is theorized to be caused by an interruption to SCP-3112's frequencies. This abrupt cancellation of SCP-3112's frequencies leads to the unexpected release of SCP-3112-A instances upon reaching the end of SCP-3112's cancelled waves. The interruptions to SCP-3112's frequencies was confirmed to be caused by the anomalous property of SCP-███, found within the same site. SCP-3112-A instances have been identified to be non-anomalous in nature. SCP-3112-A exhibits texts written in unknown scripts and languages, although some instances contain intelligible writings. Addresses and return addresses appear to be unique for each SCP-3112-A instance. A supposed extra-dimensional postal service provider identified as InDi-Mail, designated GOI-312, claims to be responsible for SCP-3112 and SCP-3112-A manifestations. GOI-312 have successfully contacted the Foundation twice and provided instructions for the construction of SCP-3112-B on first contact. (see: Document-3112-01 and Document-3112-02) Further attempts at contacting GOI-312 are being made. SCP-3112-B is a 50cm x 50cm x 50cm wooden box embedded to the side of a Quercus macrocarpa, known commonly as bur oak, with one twig attached to the box through adhesives. 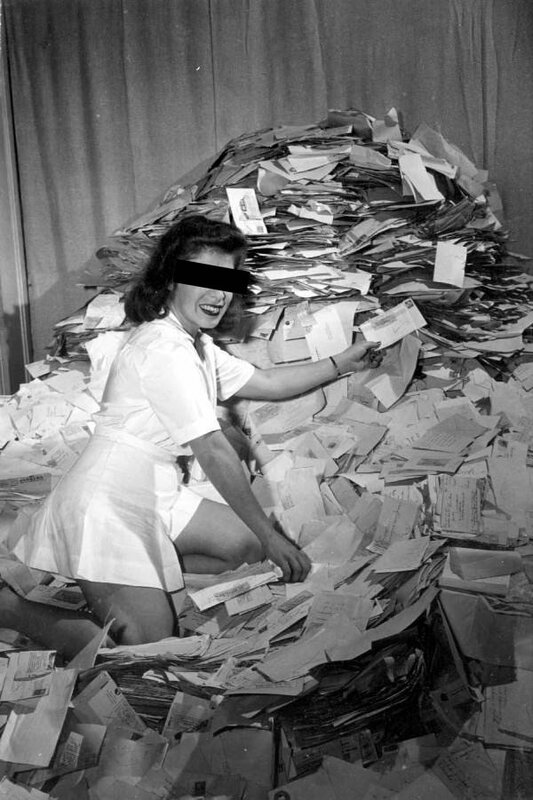 Letters and postcards following specific conditions and deposited to SCP-3112-B are immediately transported upon exposure to SCP-3112 frequencies. SCP-3112-B was constructed by the Foundation with Dr. █████'s approval to utilize SCP-3112 in an attempt to contact GOI-312. A letter found to address the Foundation directly was discovered while sorting SCP-3112-A instances. Below is a transcript of the letter. We at InDi-Mail give you our most sincere apologies for the inconvenience. We seem to have struck an unexpected interference to our ravenwaves at one of our mailways established to pass your domain, as a result, messages prematurely drop at your location. We at InDi-Mail sincerely apologize for this, we'll see to it that this issue may be fixed as soon as possible. We at InDi-Mail value the privacy of our consumers. We kindly request of your full cooperation to refrain from opening contents of letters not addressed to your person until we are able to resolve this incident. Again, we at InDi-Mail offer our most sincere apologies, may we request for your kindest consideration as we handle this situation. Thank you. The following could be seen at the back. It shows instructions on how to potentially utilize and replicate the anomalous effects of SCP-3112 with the use of a basic contraption, designated SCP-3112-B. Supposed contact information for GOI-312 was stated as well. First time connecting to our mailways? Make sure your box is properly embedded within the bark. Use of may oak may offer for stronger connections. Check if your box is able to detect our ravenwaves, if not, move to higher altitudes. Attach twig on box for stronger connections. This file records all attempts at utilizing SCP-3112 for inter-dimensional translocation. Please use the following format. Below is a transcript of the letter that is to be utilized for all following tests as of 25/07/2016. Thank you for contacting us. We at the Foundation received your notice and understand the situation fully. We offer our kindest considerations and compliance to your request. We are currently conducting tests in attempts to utilize your mail transport methods. Your use of electromagnetic radiation for inter-dimensional translocation of mail intrigues us. We hope to know more about InDi-Mail. Should this letter reach you, please do reply. Upon retrieval of Document-3112-01, testing of SCP-3112-B and replicated SCP-3112 instance began with Dr. █████'s approval. Procedure: One Rattus rattus, known commonly as black rat, contained in a 10 cm x 10 cm x 10 cm box was placed inside SCP-3112-B and exposed directly to SCP-3112. Written on the box is the specified mailing address found in Document-3112-01. Results: Box disappears briefly and reappears after approximately 3.50 seconds. Upon reappearance, the following note was found attached to the box. Rattus rattus specimen appears to be normal upon examination subsequent to testing. Procedure: One active digital recording device contained in a 10 cm x 10 cm x 10 cm plexiglass box was placed inside SCP-3112-B and exposed directly to SCP-3112. Written on the box is the specified mailing address found in Document-3112-01. Invalid Delivery: Delivery too large. Recordings obtained from the device displayed static upon examination subsequent to testing. Procedure: One active digital recording device contained in a 3 cm x 3 cm x 3 cm plexiglass box was placed inside SCP-3112-B and exposed directly to SCP-3112. Written on the box is the specified mailing address found in Document-3112-01. Procedure: One standard enveloped letter was placed inside SCP-3112-B and exposed directly to SCP-3112. Written on the envelope was the specified mailing address found in Document-3112-01. Results: Letter disappears briefly and reappears after approximately 3.50 seconds, similar to previous testing. Upon reappearance, the following note was found attached to the letter. 100% of inspected SCP-3112-A instances contains leaves coming from Sambucus nigra (known commonly as elder). It has been hypothesized to be the Postal Token in question. Procedure: One standard enveloped letter and one Sambucus nigra leaf was placed inside SCP-3112-B and exposed directly to SCP-3112. Written on the envelope was the specified mailing address found in Document-3112-01. Results: Letter disappears briefly and reappears after approximately 3.50 seconds, similar to previous tests. Upon reappearance, the following note was found attached to the letter. Your mail will be sent shortly. Thank you for choosing InDi-Mail. A similar letter to Document-3112-01 had been discovered while sorting SCP-3112-A instances the day following Foundation's first successful attempt at inter-dimensional translocation through SCP-3112. Below is a transcript of the letter. We have received your letter. Thank you for inquiring with us here at InDi-Mail. On behalf of the entire team, we are immensely glad of your interest at availing our services despite recent incidents. It seems that you have already set up ravenwave connections on your own, we thank you for this as it shortens the setup process on our behalf. We would simply have to connect your ravenwaves to the new mailway route being developed for your domain now, once it has been done, you would officially be part of our ever growing list of InDi-Mail users. We thank you, Foundation, representatives of Domain 3876-ß for opening the possibility of extending our services to your domain. Without you, this would have not been possible. Stay tuned for an upcoming InDi-Mail branch near you!